Revisions and on the BlackWidow Elite include dedicated media keys and volume controls, height-adjustable leatherette wrist rest, tweaked ports layout and cable routing built into the underside. 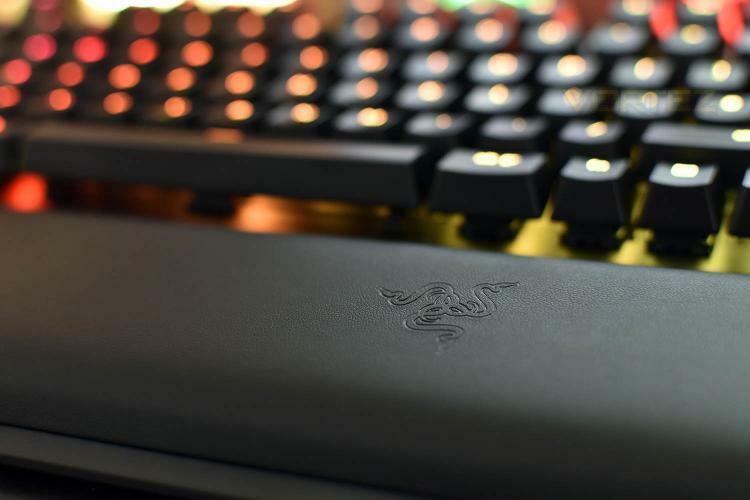 Along with the above improvements, Razer have also implemented sidewalls onto their keyswitches, increasing lateral stability the overall feel of the keys, while the new design also helps reduce the ingress of dirt and moisture. We’ve actually used the BlackWidow Chroma V2 for the last 18 months, putting us in the perfect position to fuly evaluate the new iteration, so let’s get down to business and see if the Razer BlackWidow Elite is worth the £170/$170/$300 asking price.